And it’s not surprising at all that it has something to do with their marvelous car line-up. We told you about the flying motorbikes that were unveiled earlier in the month that completely blew the minds of UAE residents. And now the Dubai Police have a new supercar called Ghiath that is complete high-tech beast. 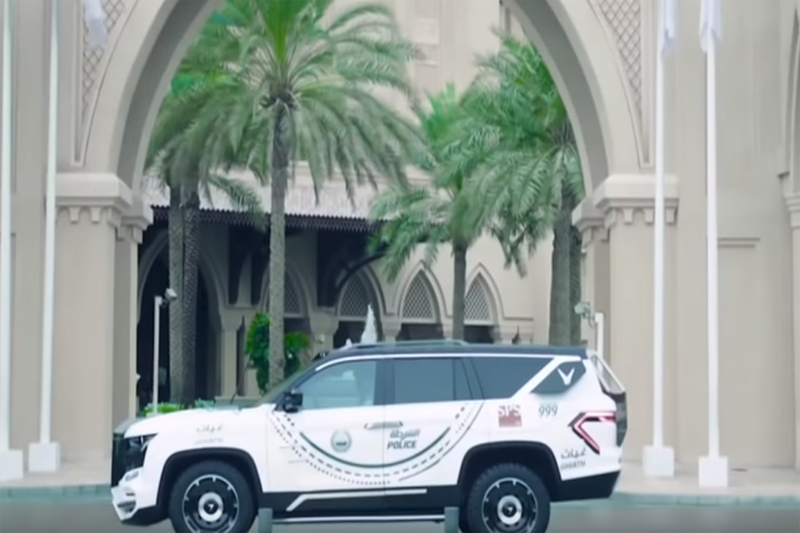 The new Dubai Police SUV will help keep the city safe with the help of the advanced technology that is equipped with the car. It will use artificial intelligence and facial recognition technology to scan faces in Dubai streets and make sure to alert the police if anyone is wanted or if any illegal actions are taking place. Not to mention, the mean looking machine looks like a gigantic beast SUV that will scare any felon in the city. Ghiath is also equipped with touch screens, tracking technologies and communication systems that are directly linked to the Dubai Police’s command room.